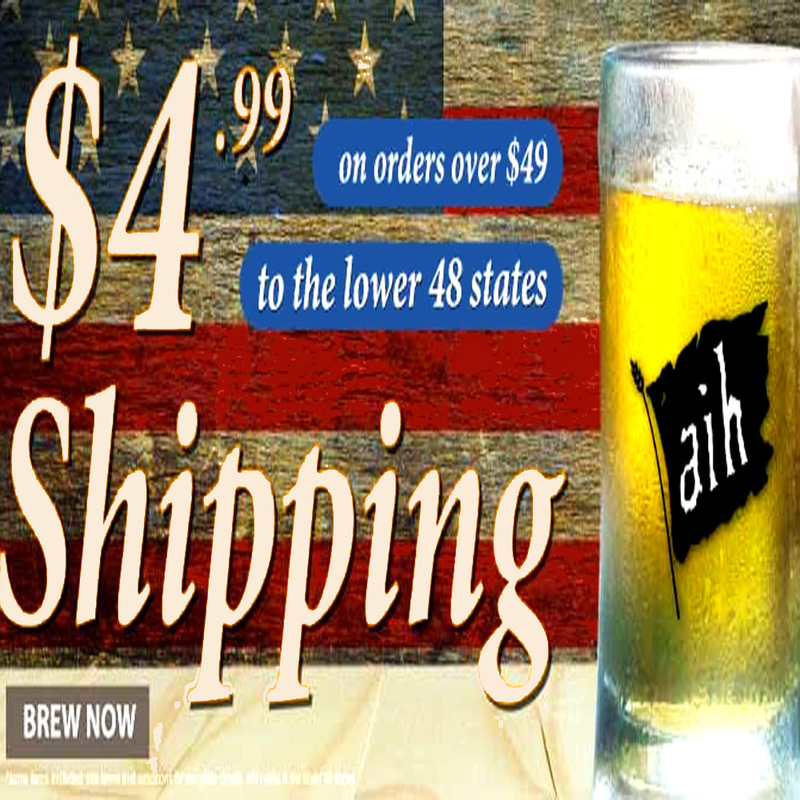 Sale Description: Get Free Shipping at Adventures in Homebrewing on homebrew orders of $49 or more from now until Sunday! Some exclusions apply. 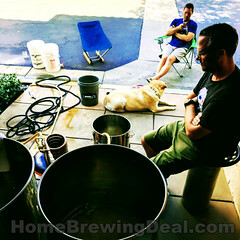 Click the free shipping promotion link for all of the details from Adventures in Homebrewing. 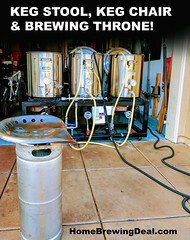 Sale Description: Adventures in Homebrewing is having there Brew More and Save More Sale! The more you spend the more you will save! Save as much as $50 on your purchase from now until October 7th. Click the link for all of the details on this limited time promotion from Adventures in Homebrewing. Sale Description: Save 13% At Adventures in Homebrewing With This Talk Like A Pirate Promotion! This is a limited time home brewing deal and will expire on the 23rd. Make sure that you enter the promo code LOOT at check out to take advantage of this offer. 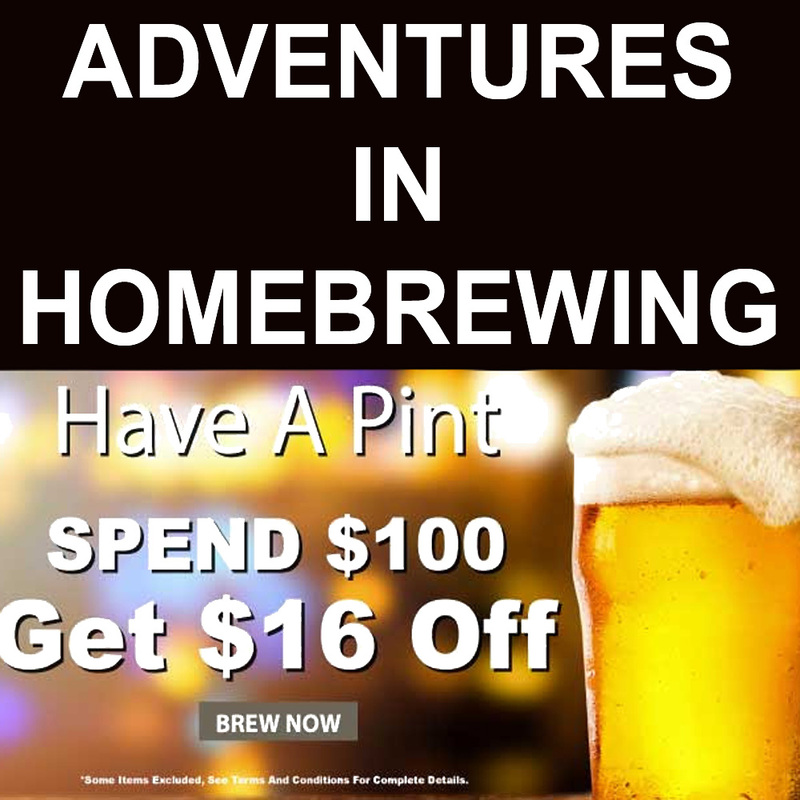 Sale Description: Act now and you can save $16 on your home brewing purchase of $100 or more at Adventures in Homebrewing. This home brewing deal will expire on September 16th! Sale Description: From now until September 2nd, Adventures in Homebrewing is offering Free Shipping on orders over $49. Adventures in Homebrewing has some of the best prices on home brewing gear and beer kits; which combined with free shipping you can save a bundle. Some exclusions apply with this limited time promotion. Click the link for all of the details. Sale Description: Right now Adventures in Homebrewing has a few great promotions running. 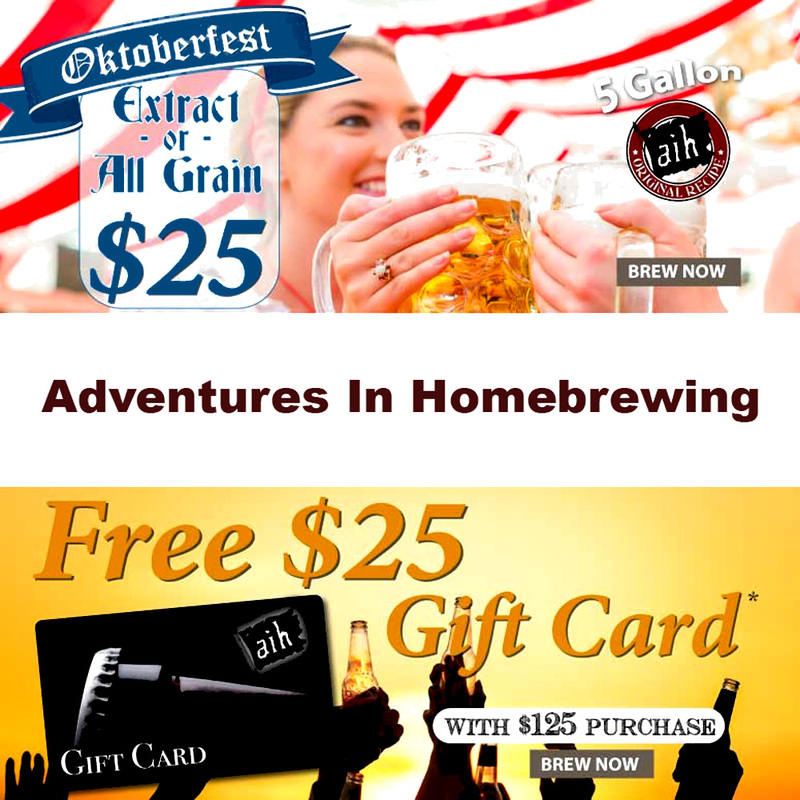 For a limited time you can save on their Oktoberfest All Grain and Extract Home Beer Brewing Kits and in addition to that you will get a Free $25 gift card if your spend $125 or More. 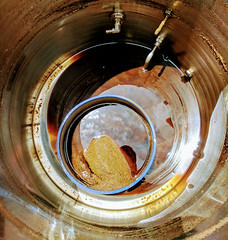 Some Limitations do apply, clikc the link for all of the details on this home brewing deal. 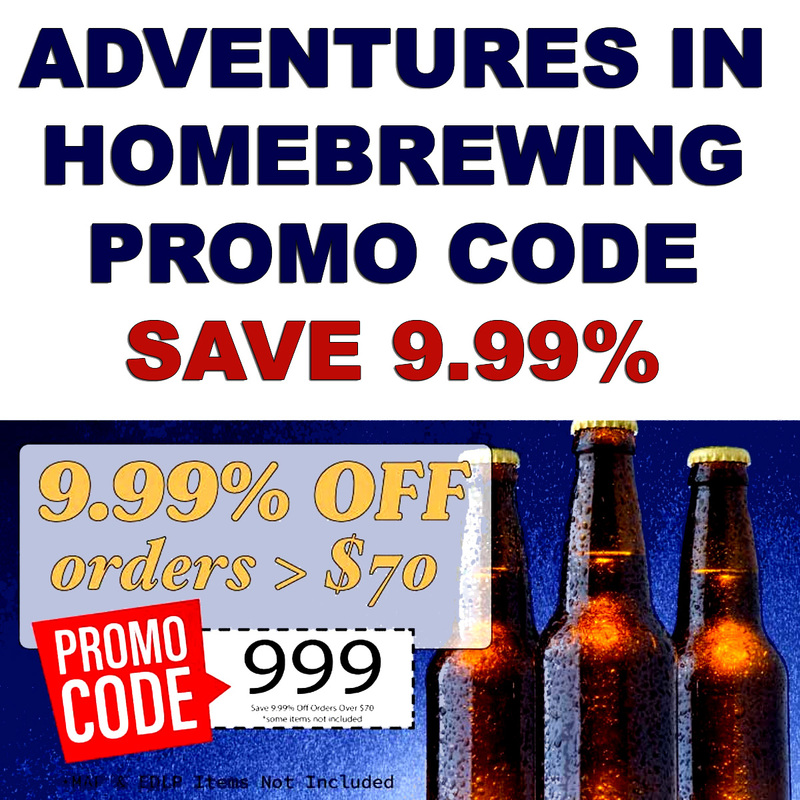 Sale Description: Save Up To An Additional 20% With This Adventures In Homebrewing Discount! Some restrictions do apply, click the link for all of the details on this limited time offer from homebrewing.org. Sale Description: Adventures in Homebrewing is currently having a promotion that will get you $4.99 flat rate shipping on any order over $49! 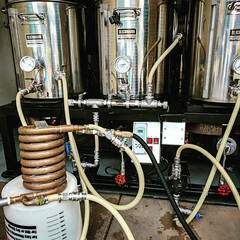 In addition to that they currently have their Christmas in July Sale going on so you can have a bundle and get cheap flat rate shipping on popular home brewing items!